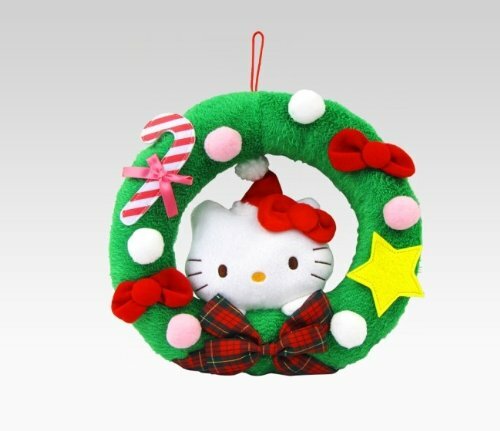 Decorate your door with this lovely Hello Kitty Christmas Wreath. This green wreath features Hello Kitty in a red Santa head peering her way through to friends and visitors. The green wreath is also decked out with Hello Kitty’s bow and lovely pink candy cane.